English NWOBHM legends SATAN announces German shows! New album ‘Cruel Magic’ out September 7th! This week Friday, September 7th, Metal Blade Records will release ‘Cruel Magic‘, the brand new studio album by English NWOBHM legends SATAN! 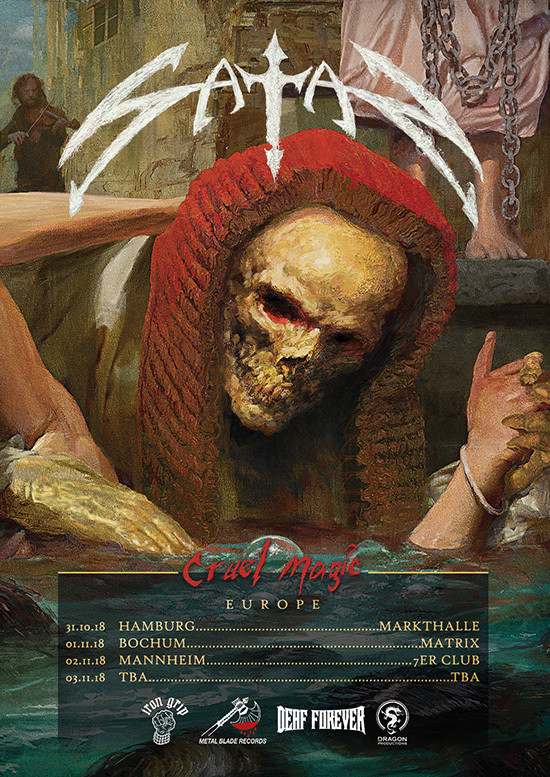 SATAN have now announced a bunch of German shows! 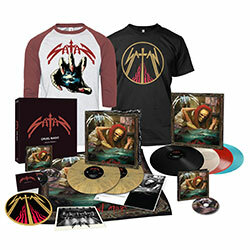 While standard bearers of the NWOBHM movement and responsible for ’83′s seminal ‘Court In the Act‘ and ’87′s ‘Suspended Sentence‘, with their tentative new album SATAN make it abundantly clear that in 2018 they are not interested in simply capitalizing on past glories. Comprised of 10 tracks of searing metal, it is blatantly and profoundly the work of the Newcastle-upon-Tyne natives at their very best, infusing their signature sound with a more raw, wild and spontaneous vibe than they showcased on 2015′s mighty ‘Atom By Atom‘, in the process displaying more passion and energy than slews of bands half their age.